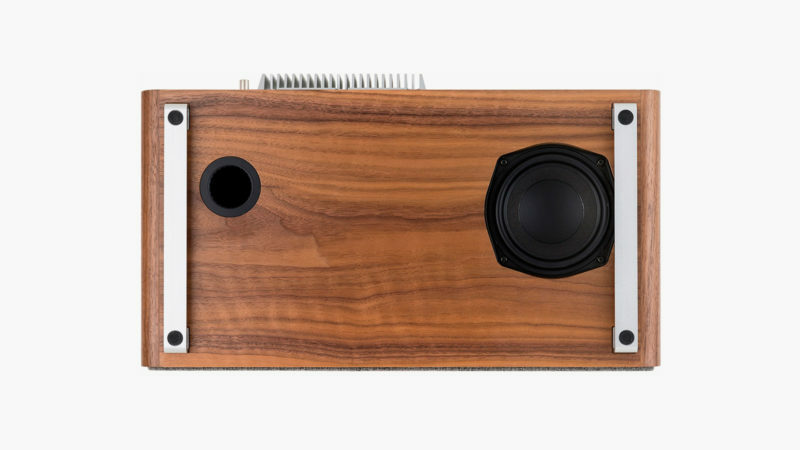 With a design like this, you can almost see how great this compact and versatile all-in-one system sounds. 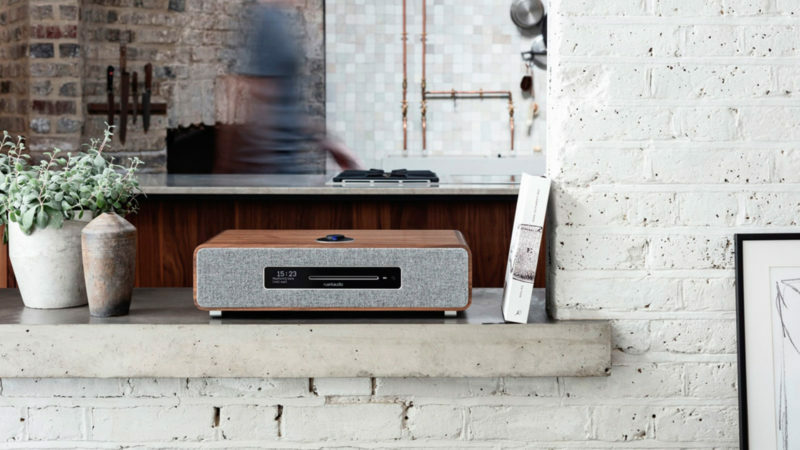 Thanks to Ruark Audio’s exceptional flair for design, you can almost see just how great its products sound. 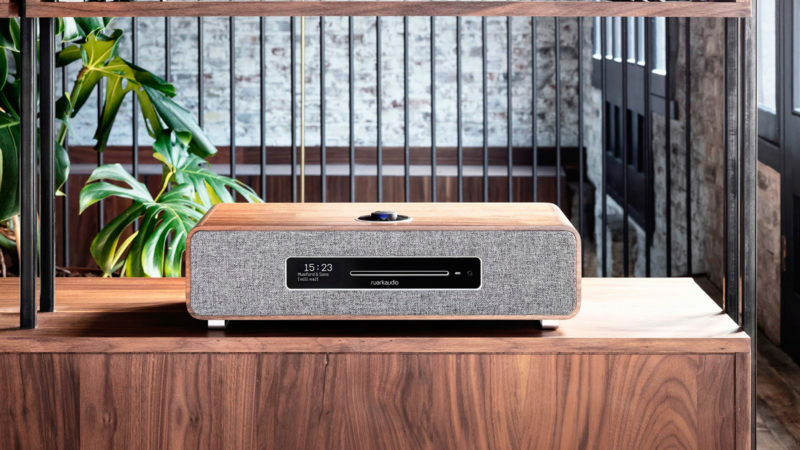 We’ve already brought attention to Ruark’s stylish R7 High Fidelity Radiogram and MRx Connected Wireless Speaker, whose DNAs run in the same vein. 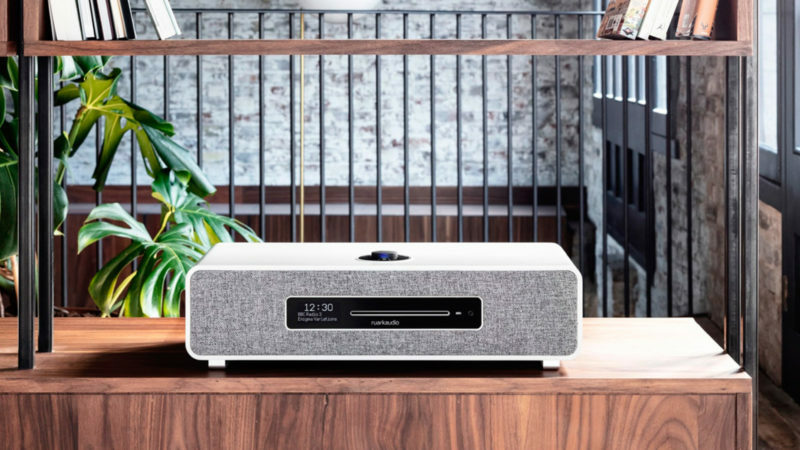 Now Ruark is back with an all-in-one system that promises outstanding sound with Class A-B amplifiers and an active equalization system to deliver powerful, crystal clear audio with precision control. 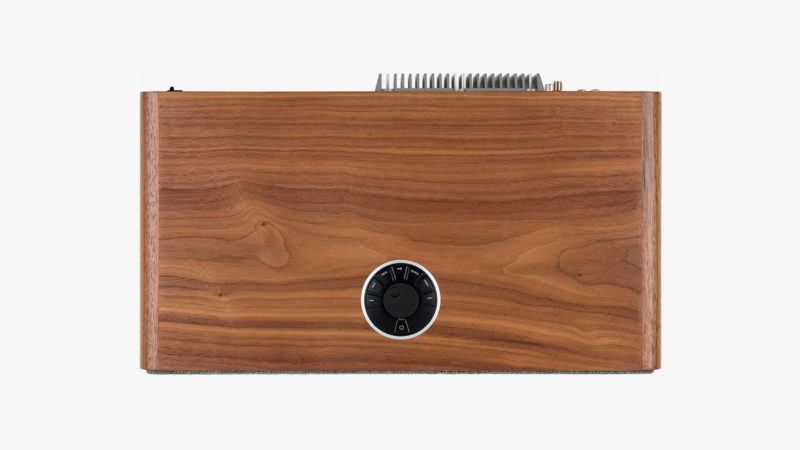 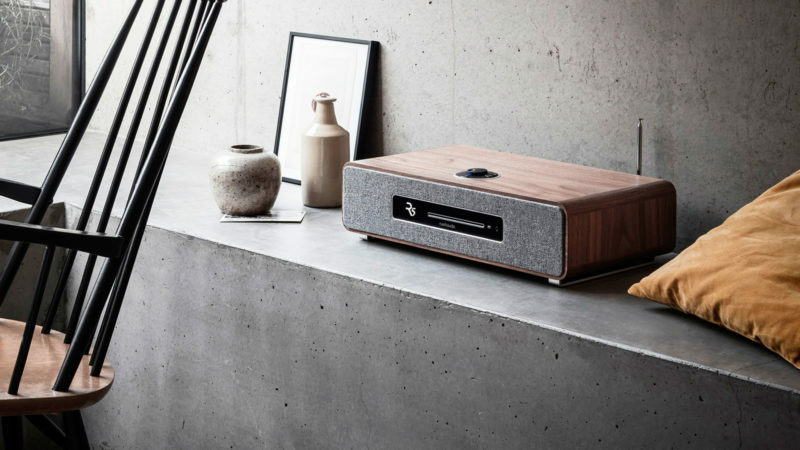 The sleek and compact Ruark Audio R5 High Fidelity Music System is housed in a beautiful wooden case with a striking front cover of textured gray fabric and your choice of gray lacquer or walnut veneer. 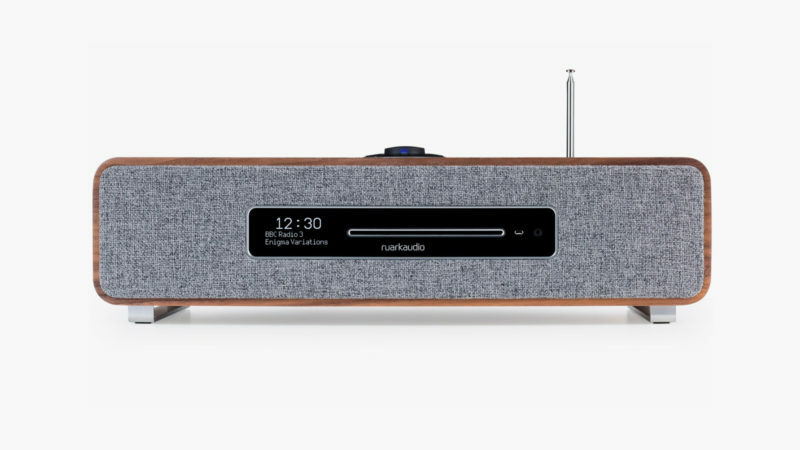 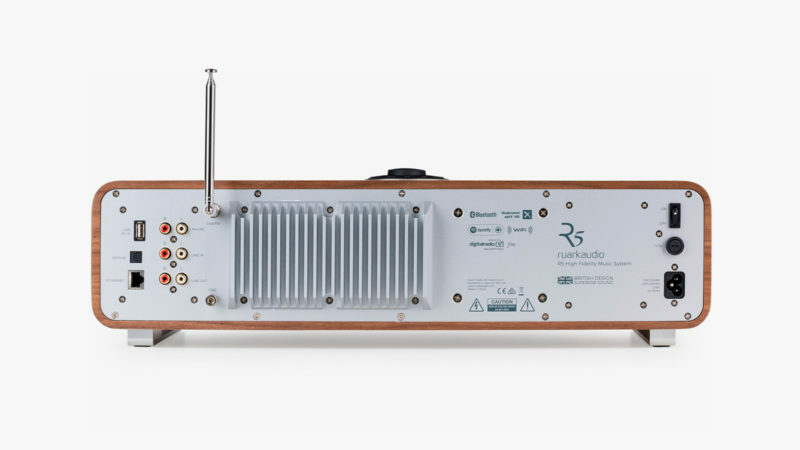 Amazingly versatile, this unit also features a front-loading CD player and a radio receiver that connects with local FM stations as well as digital audio broadcasts and Internet radio stations. 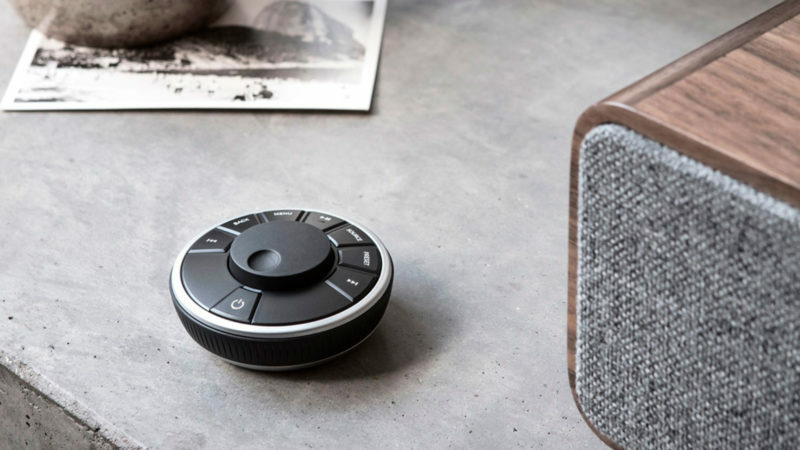 It is also Bluetooth connected to support wireless streaming from any personal digital device or online source.